In 1921 Charles Atlas won Bernarr McFadden’s ‘Most Perfectly Developed Man Competition’. In 1922, he won again and by this time McFadden ceased holding the competition. Rumour has it McFadden stopped because he felt Atlas would win every time. By the end of the 1920s Atlas was marketing his own unique mail order workout programme aimed at delivering fast results to his customers. The World’s Most Perfectly Developed Man promised to turn his weak students into dynamic man, just as Atlas had done with himself. In just 12 basic lessons, Atlas covered everything from diet and training to the right mind-set for building an awesome physique. In the second lesson of the Atlas programme, aspiring muscle men (and women) were given a secret muscle-building programme by Atlas. It revolved around a single food…a ‘super food’ in modern day parlance. Atlas didn’t advise just any old milk, it had to be pure milk. Atlas wanted students to drink only the finest dairy available. He even advised students to get it straight from the farm if possible. Why was Atlas so precise? We must remember that pasteurized milk was still a relatively new phenomenon in the United States and one that not everyone was behind. 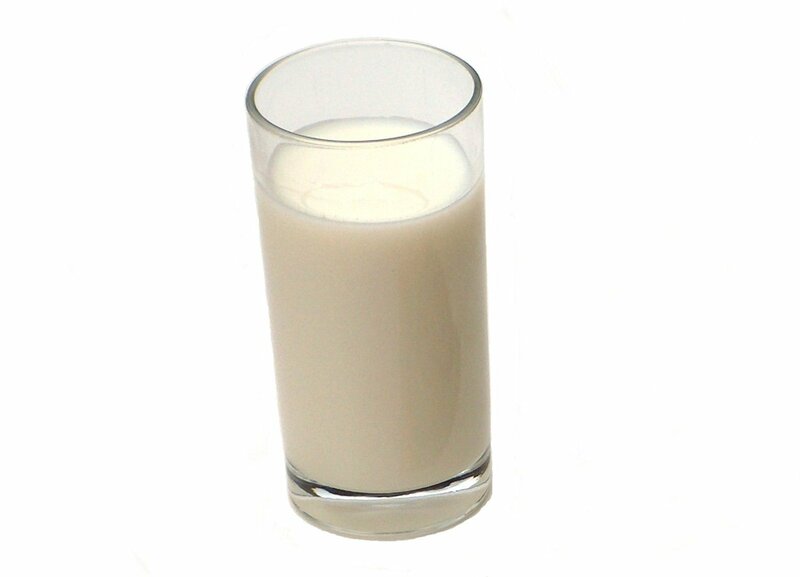 The process of eliminating bacteria from milk was only introduced into the US in the 1890s after the discovery of germ theory to control the hazards of highly contagious bacterial diseases, including bovine tuberculosis and brucellosis, which could be transmitted to humans through drinking raw milk. From some, pasteurisation of milk was desperately needed, while for others it was simply a band-aid that helped cover up lazy farming practices. New York wasn’t the only city were such travesties occurred either but thanks to a series of investigations in The New York Times, it was perhaps the best known. 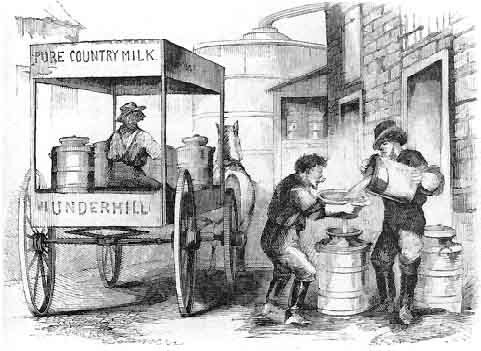 The result of the ‘swill milk’ scandal was that by the time pasteurization came to the United States, efforts were made to introduce it throughout the entire country. By the 1920s milk pasteurization had become widespread, but it is interesting to note that Atlas was advocating raw, pure milk. Milk that had been pasteurized was the second best option. Remarkably, the raw versus pasteurized milk debate still exists today and has perhaps become even more polarized in the United States as food standards in the US have increasingly come under the spotlight. But back to Atlas’s milk diet. Atlas was very particularly about how the milk diet should be done. The Milk had to be digested as well as possible. It should be mixed well in the mouth, almost chewed, rather than drunk. It wasn’t a competition to see who could drink as much milk the fastest either. Clients were encouraged to sip slowly. Well if one considers people wanted to gain muscle on Atlas’s programme, the milk diet had the potential to be very beneficial. 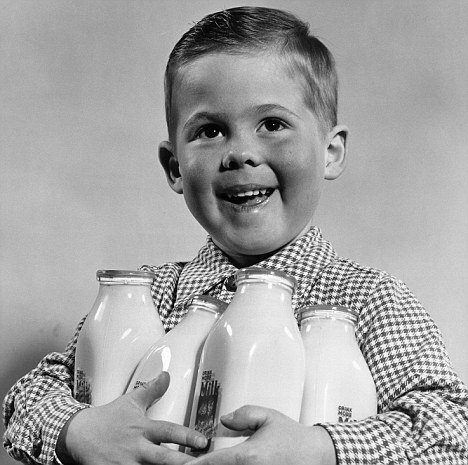 Five quarts of milk contains roughly 2900 calories, with 160g fat, 255g carbohydrates and 155g proteins. Combined with Atlas’s exercise programme, clients certainly had the potential to put on muscle. Atlas wasn’t the only Physical Culturist to recommend such a diet either. Steve Reeves, John Grimek and Reg Park all engaged in a milk diet at some point in their training. Whereas they used heavy free weights, Atlas recommended bodyweight exercises. This diet was also relatively cheap. The price of five quarts in America in 1925 was roughly 42¢, which over a week would be $2.94. Considering the average weekly wage in manufacturing was $25, Atlas’s customers would have made some considerable savings. Price of course was secondary to Atlas. The primary goal of such a diet was to detoxify the system and build muscle. Drinking five quarts of milk a day, would unsurprisingly encourage frequent trips to the bathroom, which Atlas assured customers was simple nature’s way of clearing out the system. Arguably we have moved on very little in the muscle building community from Atlas’s ‘exclusive milk diet’ when one considers that the ‘Squats and Milk’ programme is arguably one of the most effective muscle building programmes recommended for people who struggle to gain weight. The ‘Gallon of Milk a Day’ or GOMAD diet, recommends people drink four quarts of milk spread throughout the day in conjunction with their normal meals. Combined with an intensive programme centred on squats, one of the most anabolic exercises around, people have gained as much as 25lbs in a month. How much of that is muscle however is another story. GOMAD or Atlas? Little has changed. Hi blogger, do you monetize your physicalculturestudy.com ? Hi Ethan, thanks so much for stopping by. I haven’t monetised the site as this is just a hobby for me. Thank you for the links though. Nice write up, but the first part of this article about “swill milk” is turn of the century, unscientific, superstitious nonsense. Dairy cows still eat brewery grains to this day. Most farm animals do. They are extremely nutritious. Grass is even better for cows, but brewery grains are extremely common feedstock to this day. If there was a real tainted milk issue back then that wasn’t just ambulance chasing opportunism and journalistic hyperbole, then the issue would have been from treatment of the milk after it was produced, such as lack of refrigeration or adulteration, or from the health of the cows themselves. Thanks so much for stopping by, especially with the corrections. Animal feeding would not be a specialty of mine so I do appreciate you setting us straight on that regard!